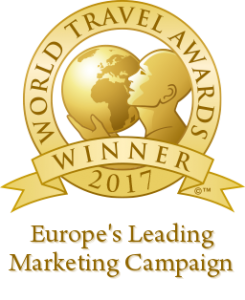 iambassador and Visit Britain USA recently won the Best Standalone Campaign by a DMO Award at the Social Travel Britain conference in Bristol. Keith Jenkins, CEO of iambassador, was present in Bristol to receive the award, “I’m really excited to win this award because it’s a great recognition of this innovative Countryside campaign which we developed together with Visit Britain USA.” The Countryside campaign utilised the bloggers as ambassadors of the British Countryside and comprised several integrated elements. The content generated by the bloggers on their blogs and social media were re-purposed for advertising and a microsite. Furthermore, the bloggers spoke about their experiences and showcased their content at a media event in New York and later at the Destination Britain Americas conference in Playa del Carmen, Mexico. The Social Travel Britain Awards were announced during a ceremony on 21st April 2016 in @Bristol, the city’s award-winning interactive science museum as part of the Social Travel Britain 2016 conference. 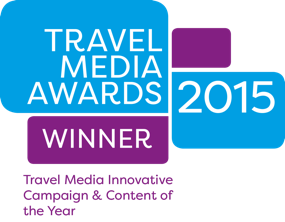 Recognising the best digital innovations and social media campaigns in British tourism over the last 12 months, the awards specifically looked at the best use of social media and online video content in marketing campaigns to encourage greater enjoyment and engagement with the British Isles. Travel Perspective is a digital agency and editorial consultancy that works with travel and tourism brands worldwide. The company has run the hugely successful social media seminars at World Travel Market in London for the past five years. Founders Steve Keenan and Mark Frary have worked for national and travel trade newspapers and magazines for many years, including The Times and Sunday Times. They are passionate about the new ways of promoting travel and tourism.